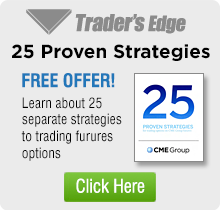 Trader’s Edge is offering a free strategy guide which will detail 25 separate strategies to trading futures options. This handy pocket-sized guide features numerous charts and examples making understanding of the strategies all that much simpler. 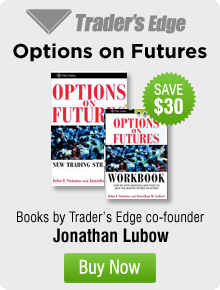 In addition, we are offering Smart Trading Techniques: How to Profit from Time Value Decay Writing S&P 500 Credit Spreads.